Acer palmatum Beni Shichi Henge is Japanese for 'red and changing' - an ideal description for this stunning Acer. It will attract immediate attention where ever it is planted, but is still rather rare, despite the fact that it was introduced in the 1960's. Few trees have both the spring foliage display and the impressive autumn display of this superb little maple. 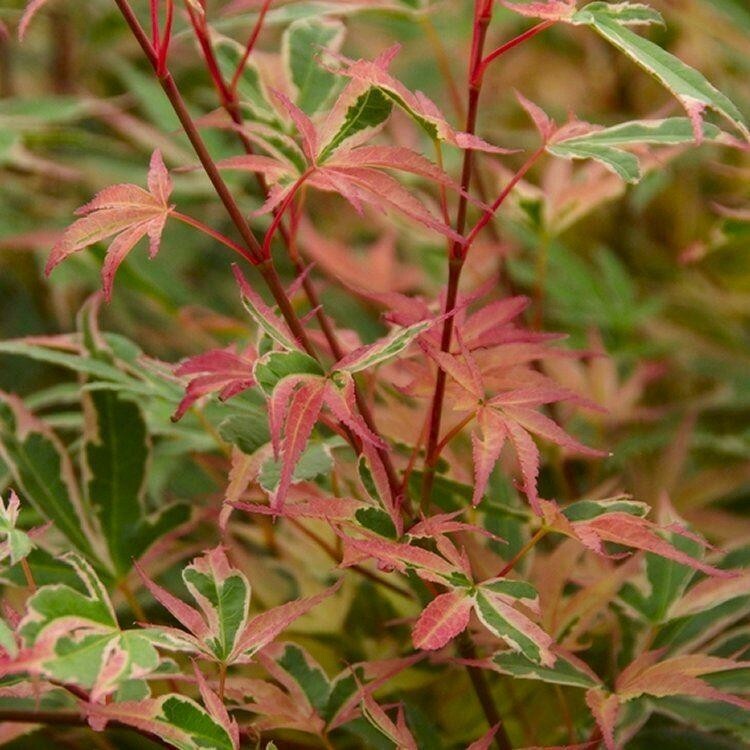 'Beni Schichihenge's' new leaves uncurl from crimson stems that keep their colour through summer to autumn. 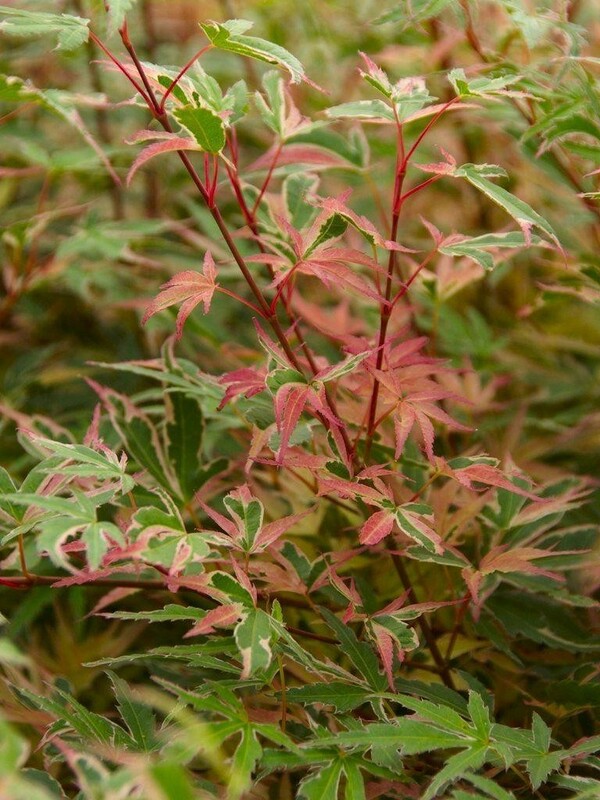 The foliage has slender, pointed lobes with a dark green base, edged in silvery-white and trimmed in pink and orange. The white edging of these pretty leaves remains into summer, until, in autumn, the foliage turns brilliant shades of orange and gold that will bring dazzle to the late season garden. The diminutive size of this tree makes it ideal for smaller gardens, it will also do well in containers. Supplied at approx 120-150cms tall.